This illustration was created for Dr Caroline Mansfield at the University of Melbourne. 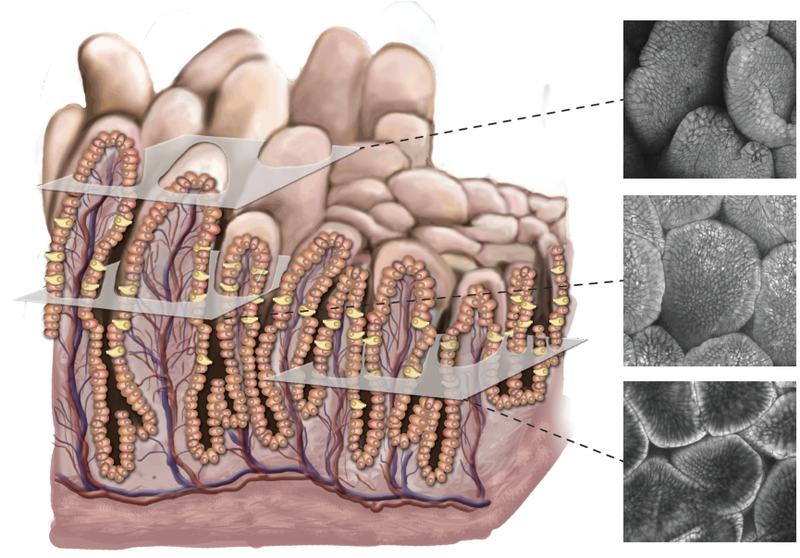 It provides insight into the anatomy of the lining of the intestinal tract. This was created using Adobe Illustrator and Photoshop.